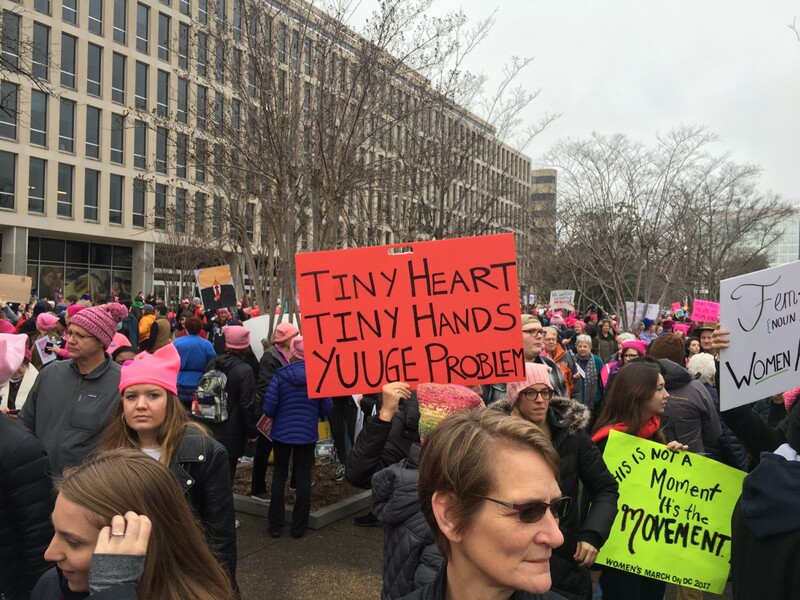 Sounds of the Women’s March on Washington D.C.
Music is fundamental to our humanity. It helps us process our emotions and allows an outlet through which to navigate the complexity of our lives. I grew up in a small family that shared a love for sound, particularly in the form of music, musical theater, and stage acting. In my adult life, I’ve become an audiophile who believes sound is a tool for change. Real change comes when you change culture — and music has become an agent. A 2014 Edison Research study revealed that Americans spend an average of 4 hours a day listening to audio. In the same year, a Nielsen Music 360 study found that 75% of Americans say they actively choose music listening, vs. the 73% who claim they instead actively choose to watch TV. Songs and lyrics can enrich communication. Certainly, music has also played instrumental parts (multi-layered puns intended) in movements. Because of my parents’ love for the arts, I’ve always had a passion for Joan Baez who has made sure her art is emotionally connective tissue to rally people together to fight for social, racial and criminal justice, and to protest the Vietnam War. Now that we are in the social era, we all have the power to create audiences and build communities. Music has untapped potential for adding new dimensions, similar to the way hashtags began as a way of categorizing internet content. Just days after the 2016 U.S. Presidential election, I booked my flight to Washington. 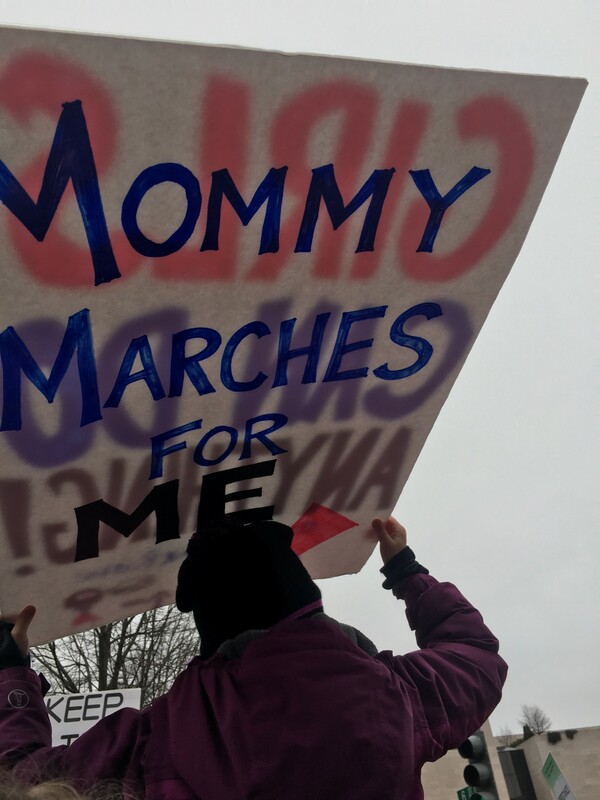 What started as a girls weekend soon became a call to join the Women’s March on Washington. Momentum took hold of many people in the coming weeks and “we” became a group of 10 women converging on D.C. for the weekend. I knew January 21st would be an historic event. 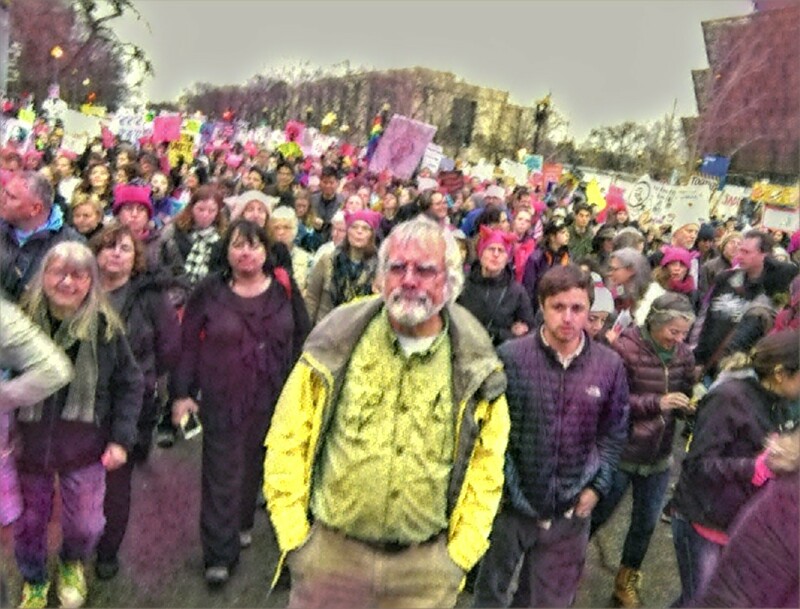 I set out to capture the musical answers of other marchers to #WhyIMarch. I safety pinned a blank, yellow-lined Post-It easel pad’s pages to cardboard, folded it into my suitcase threaded it to my coat for the day to collect musical artifacts (songs, lyrics and verses). 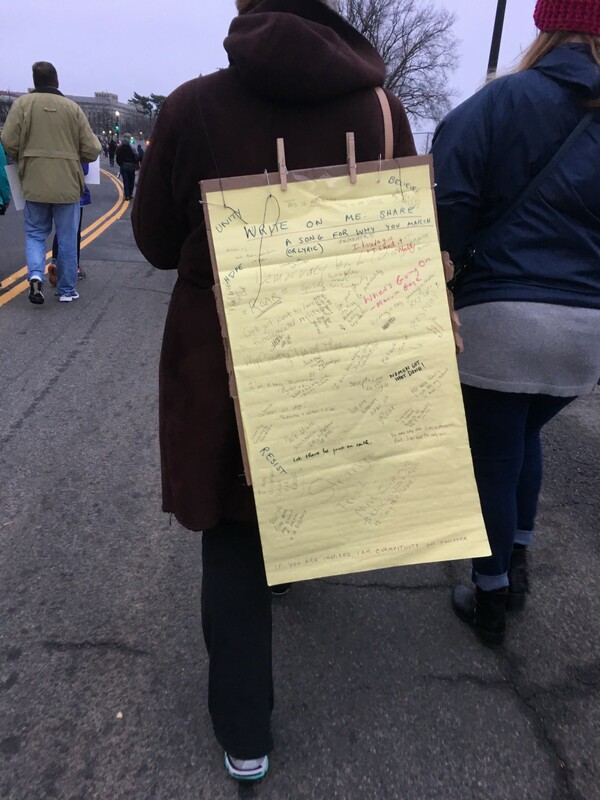 With a ballpoint pen hanging down (just in case of rain) one side, I invited fellow marchers to share what was in their hearts. Not everything I got was musical, but from what was written on my back, there were these 43 songs. If you don’t know the lyrics to the songs referenced in the next paragraph, I recommend you click through to the links I’ve embedded after each as you read. The story each song tells is meant to also be part of the message. Welcome to Politicalamity (Extreme). These are unprecedented, respect-less days in the history of our Democracy (Leonard Cohen) that feel like we are headed toward lawlessness. These Grand Designs (Rush) seem intent on demolishing what makes America great already: unity, tolerance and celebration of our differences. 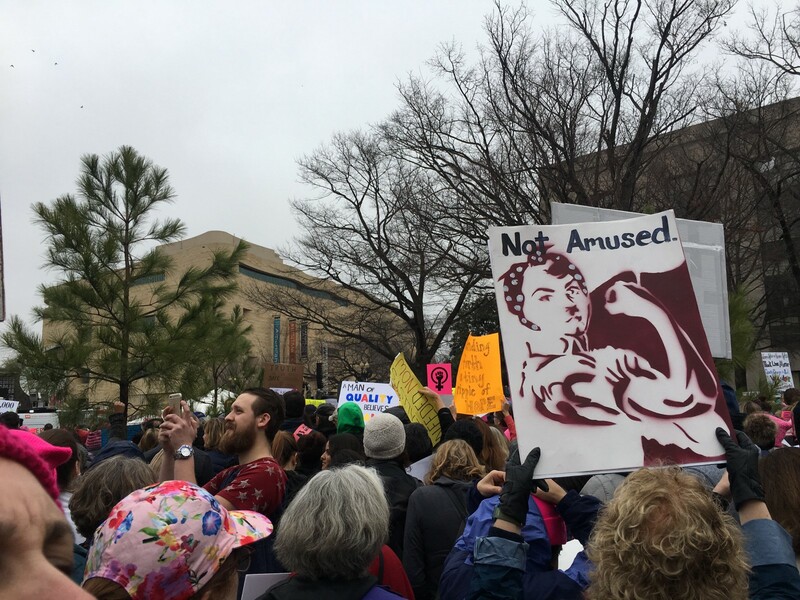 If the intent was to Rock the Casbah (Rachid Taha cover, The Clash original) using hate, divisiveness, manipulation, and distraction — it worked. But I am not sure It’s Gonna Work (Pinkie Pie, My Little Pony) post-election. So many people who voted for this want America to reach a Higher Ground (Stevie Wonder). This Fat Man (Jethro Tull), so inappropriate for the job thinks he can be among the Leaders of the Free World (Elbow). Dissent is patriotic. 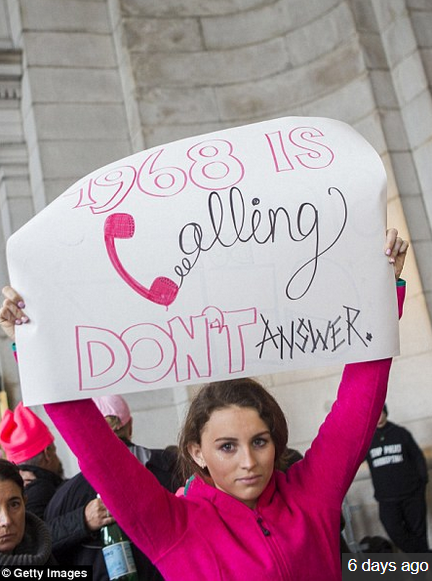 Photo credit: Getty Images. 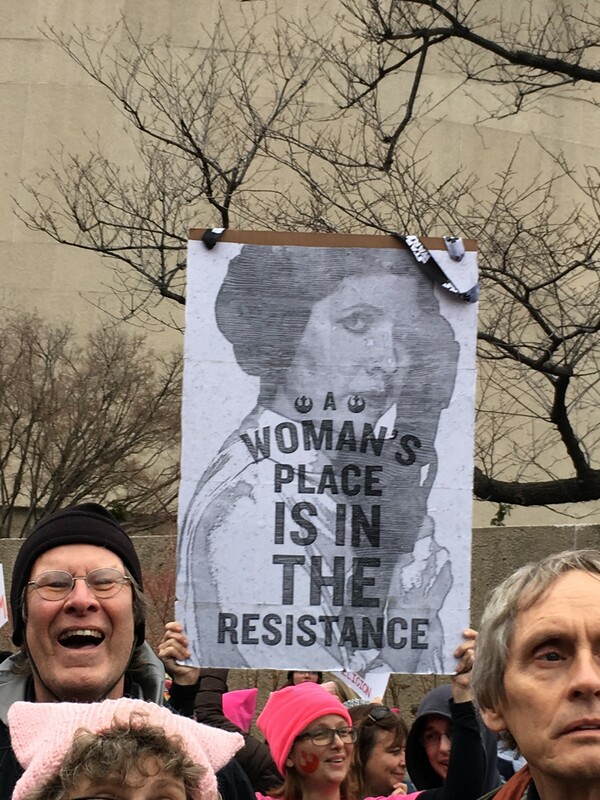 Women’s March on Washington D.C. I first remember #NotMyPresident back in the early ’80s. It had no hashtag but the sentiment was there. So many of us have lived through years of a continually swinging political pendulum and yes, this is not the first time we’ve felt intense frustration. But this is the first time, it has led to an awakening. The rudeness, hate and disrespect of how we got here is not normal, nor is it appropriate. That and what seems to be a fundamental disinterest in learning how the complexities of government affect our daily lives are the perfect storm. Eh, we’d rather watch the game. Democracy is not entertainment or cause to spectate. It’s time to rise up away from our Armchair Democracy and start actively working rather than looking for the easy way out in quick glances at headlines, party lines and platforms we don’t trust anyway. It’s time to approach each other with compassion and reach out to the millions who didn’t vote and those who voted with deep reservations about what they were doing. We are all going to have to hold hands through what happens next. While in Washington for the weekend, I went to a sing along for A People’s Choir D.C. (APCDC). I had to share their incredible curated list of music of the resistance. They called the collection “Fortify 2017.” I love your energy and your music, APC D.C.! 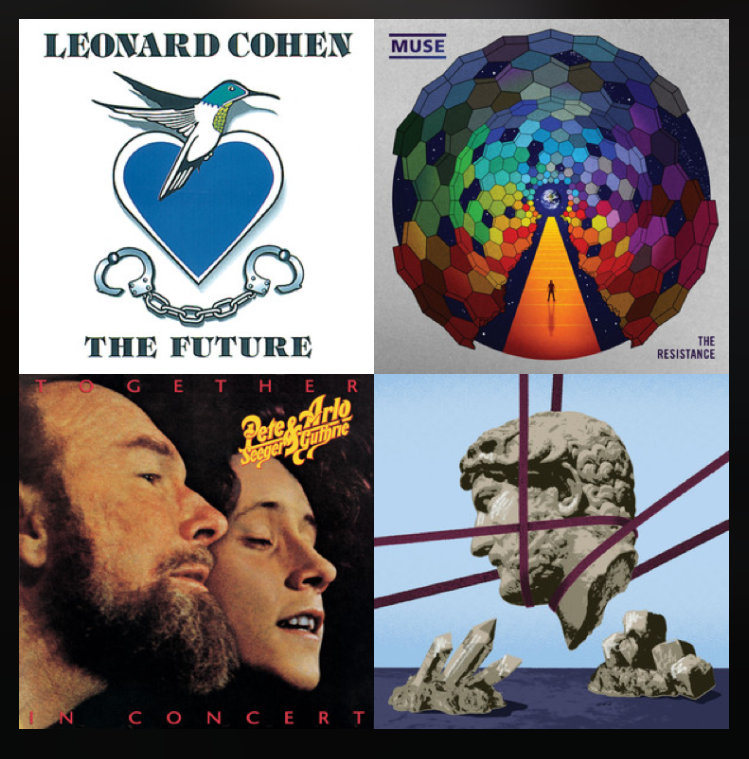 If you’re an evolving playlist fan, Dave Eggers’ 1,000 Song Playlist may be something you want to hook into. This piece and its many playlists are dedicated to all immigrants everywhere. I am a Daughter of the American Revolution (the 7th generation American) and I welcome you. 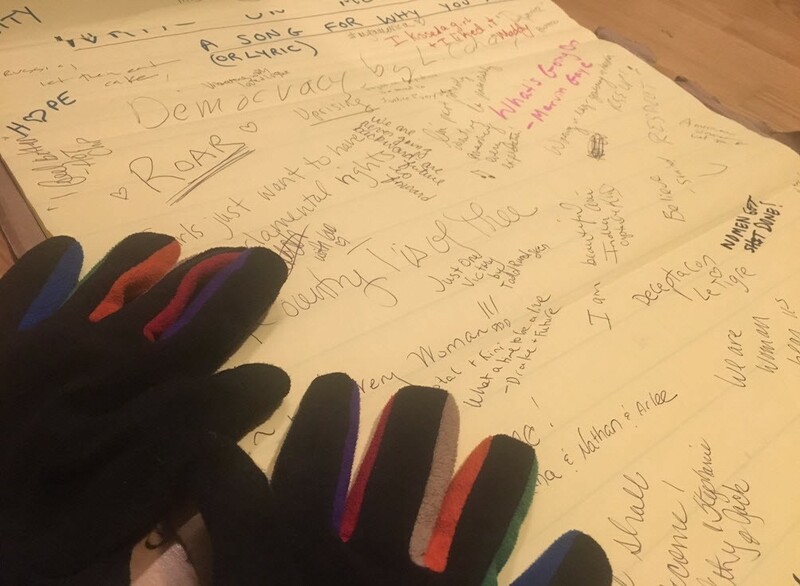 I have hope that in these notes we can all be inspired to come together. The digital presence for Rachel Medanic here on Medium. I love community, content, the arts, philanthropy & many other things. Vampituity? Google it.